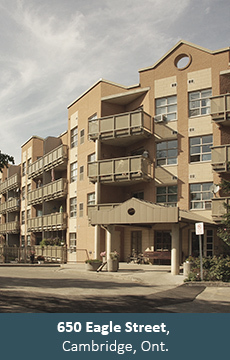 Housing Cambridge currently services nine properties in the Cambridge region. We are growing and expanding our services to better help the community. There are currently no rentals available. Please check back soon or contact us for more details. Vacancies listed on this page are units available only at Market Rent. Housing Cambridge is a non-profit housing organization in Cambridge, Ontario. Our mission is to provide the opportunity for people of all income levels to access quality housing in our city. For routine general maintenance, call the Administrative Coordinator at 519-650-5599 ext. 221. For other maintenance inquiries, call the Maintenance Coordinator at 519-650-5599 ext. 230. For after-hours Emergencies please call 519-650-4759. For more information on maintenance click here. Housing Cambridge offers two types of subsidized rental units: Rent Geared-to-income (RGI) and Below Average Market Rents (BAMR). Learn more here. We offer market rent and subsidized rent units. Presently, there are nine separate properties, with a total of 449 units, under Housing Cambridge’s management. To provide the opportunity for people of all income levels to access quality housing in Cambridge. We understand the need to provide affordable housing within our community. We work hard to help make Cambridge stronger. Click on the links below to view the Sprouts brochure, information package, and application form. Once you ring the doorbell, explore this website to learn about the issue and the impact of affordable housing in our community.